Right, I'll sign off now. Thanks for joining us for the Scottish League Cup semi-final draw. Time for a quick recap. 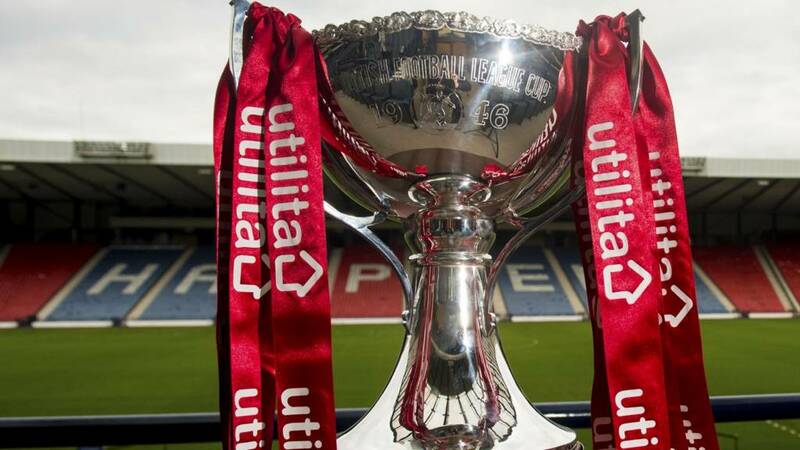 Hibernian will play St Johnstone and Ross County are up against trophy holders Celtic in the League Cup semi-finals. The ties will be played on 30 & 31 January. No information yet on venues or kick-off times. Rosscountywarrior on Twitter: "Ross county are scared of nobody come on you county boooooyz! #bbcscotfootball"
St Johnstone have not played Hibs since the Edinburgh side were relegated. In season 2013-14, the Perth side won two of the three encounters and held on for a 0-0 at Easter Road with 10 men. Hibs had the better of the fixtures in the previous campaign, winning two out of three. Ross County on Twitter: "The venue, date of match and admission prices are still to be agreed and will be advised in due course #UtilitaFootball"
I wonder which game my bosses will decide to screen live at the end of January? Celtic are always a big draw and Saints v Hibs could be a very tasty encounter... BBC Scotland will have radio coverage of both but only one game will be on the telly. St Johnstone fans will have high hopes of a second major trophy after their Scottish Cup triumph in 2014. The Perth side are in going great guns right now but so are Hibs in the Championship. St Johnstone striker Chris Kane on Twitter: "Hibs in the semi... Cmaaaan"
Well, that was a case of "blink and you'll miss it" regarding the live stream... But we now know who's playing who. Where will the semi-final matches be played on 30 & 31 January? While the final will definitely be at Hampden, recent semis have been played away from the national stadium. In 2014, Tynecastle and Easter Road hosted the games but that was also Commonwealth Games related. I'd guess that the tie involving Celtic will be at Hampden and it might make for a better atmosphere if the other match is staged at an east coast venue. Celtic may have toiled in Europe this season but it's been business as usual on the domestic front, with just one loss. The cup holders beat Raith Rovers before overcoming Hearts at Tynecastle in the quarter-finals. Leigh Griffiths inspired his side with a great solo goal against Hearts and the striker has been banging them in the net regularly, with his weekend double against Ross County taking his tally to 18. Scott Learmonth on Twitter: "Not scared of anyone just now! @HibsOfficial will give anyone a good game just now #bbcscotfootball"
Pop on Twitter: "As a St Johnstone fan, I'm going into the draw with absolutely no fear. We will take anyone. #bbcscotfootball"
St Johnstone are motoring along very nicely. The 2014 Scottish Cup winners have won seven of their last eight outings in all competitions. The Saints swept Rangers aside at Ibrox and came from behind at Cappielow in the last round to repeat the 3-1 scoreline. Michael O'Halloran scored in both of those games and manager Tommy Wright has been campaigning for a Scotland call-up on the forward's behalf. Ross County are licking their wounds after yesterday's 4-1 home defeat against Celtic. It was a third consecutive league loss for Jim McIntyre's men after a solid opening to the season. The Dingwall side beat Ayr United, trounced Falkirk and dumped local rivals Inverness CT to get to the last four. Hibernian are the only non-Premiership team left standing. However, Alan Stubbs' side are absolutely flying just now and have already taken the top flight scalps of Aberdeen and Dundee United to get here. The team from Leith are unbeaten in 13 games, winning 12 of those. Striker Jason Cummings is in red hot form, scoring on each of his last seven appearances. Celtic have won the competition 15 times and have lost in 15 finals. Hibs have been successful on three occasions but the others have yet to get their mitts on this piece of silverware. Saints have lost twice in the final and this is the furthest Ross County have ever been. Our very own Jonathan Sutherland will make the draw at Hampden along with SPFL secretary Iain Blair so, if you're not happy with the outcome, you can blame the Sportscene presenter. Celtic are the trophy holders and the Premiership leaders will be strong favourites to repeat the trick but the tournament has spread joy across the nation in recent years with Aberdeen, St Mirren and Kilmarnock the winners in the previous three years. Good afternoon and welcome to the semi-final draw for the Scottish League Cup. The teams remaining are Celtic, St Johnstone, Ross County and Hibernian. I'll let you know how the balls are gathered from the tombola at Hampden and we'll have live pictures of the event, although I can't imagine it's going to last very long. You can watch our stream via the coverage tab closer to the 14:00 GMT start.